My phone alarm rings at 4:03 am and I shut it off quickly, not wanting to wake my friend and her roommates next to me in the frigid, non-insulated cabin that they call home. 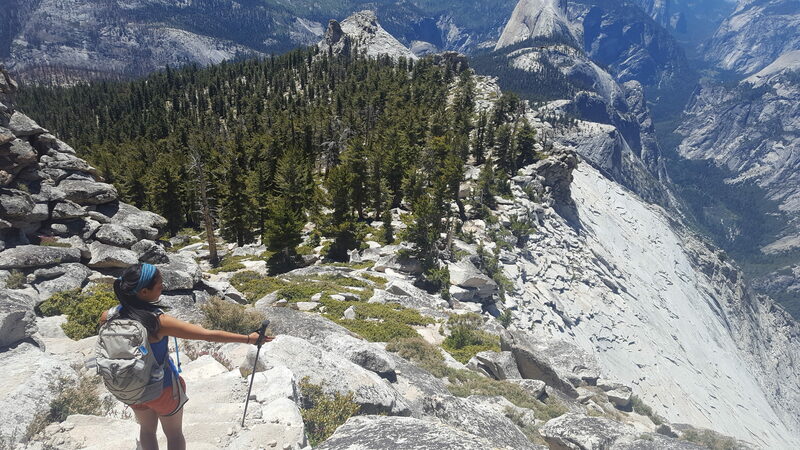 I’d gotten to Tuolumne Meadows in Yosemite National Park by hiking 150 miles of the PCT south from South Lake Tahoe. I was staying in employee housing for a few days with my friend, Big Spoon, who has a job on a wilderness restoration crew for the summer at Tuolumne before hoping on the John Muir Trail. I quickly put on all my layers, shuffle outside the door, use the bathroom and then grab a camp chair and my sleeping bag. 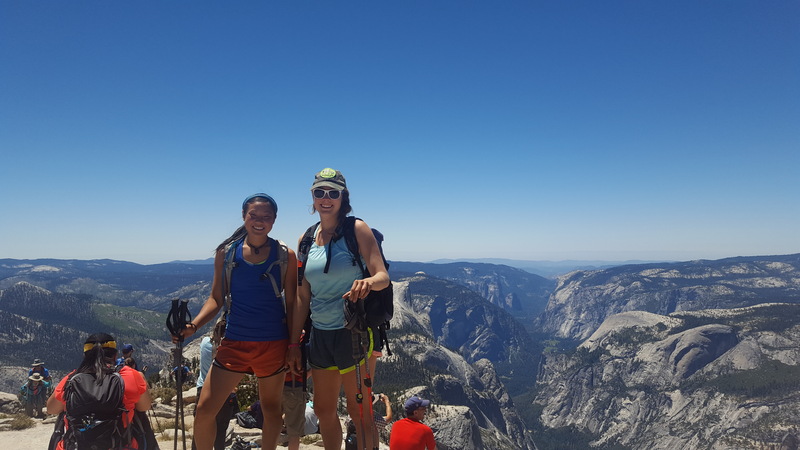 I’m headed to the wilderness permit office – a 5 minute stroll away – to try and acquire two wilderness permits for me and my other trail buddy Click to hike the 210 mile long John Muir Trail. It’s now 4:20 in the morning, the sky is clear and the stars are bright, the sun just beginning to unveil the landscape of giant granite boulders and still valleys. I get to the permit office and see that there are already about 15 people huddled in line, some lying in their sleeping bags on the ground, others curled over in camp chairs attempting to be comfortable. I can’t say I’m stoked to become one of them and I set my chair at the end of the line and pray for the sun to come soon so my toes won’t freeze. I try to sleep but it’s impossible. I find out that a group of four right at the front of the line had gotten there at midnight to be the first to get JMT permits. I think to myself that it seems a bit unfair to get there that early but I guess I’m also just jealous, knowing our chances of getting two permits has now dwindled significantly. The John Muir trail is a prized trail that showcases some of the best that the eastern Sierras in California has to offer. It’s one of the most popular trails in the whole United States and is a favorite section of the PCT for many a thru-hiker. If you want to know the basics about the trail, this recent Appalachian Trials post is a great one to answer those questions. The trickiest part of the trail as a seasoned hiker already was figuring out the permit process. You don’t really want to go out and risk being caught without one as the fine could be up to thousands of dollars. Register for a permit online months and months in advance (up to 6 months!) and hope you get it. Get to Yosemite, pick your permit office/starting point and wake up at the crack of dawn and attempt to snag a permit for the next day. They only give out 10 per day. As you can see, it’s both a complicated and hard-to-plan-for system. 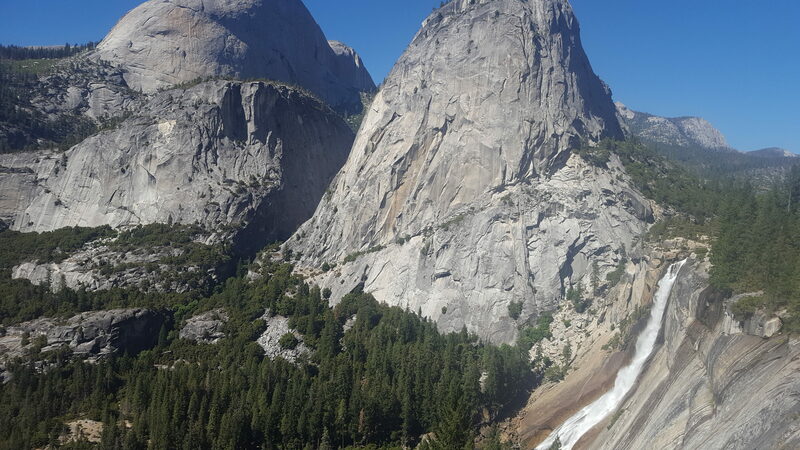 My friend Click had successfully gotten permits for most of the JMT with a start date of July 31 back in April. Fast forward ahead a few months and unfortunately her group of six had bailed. My summer plans were fluid so I hopped on to her trip, but I also brought a deadline with me of mid August. July 31 wasn’t going to work so we went to Back-Up plan #2, snag two of the ten permits per day. 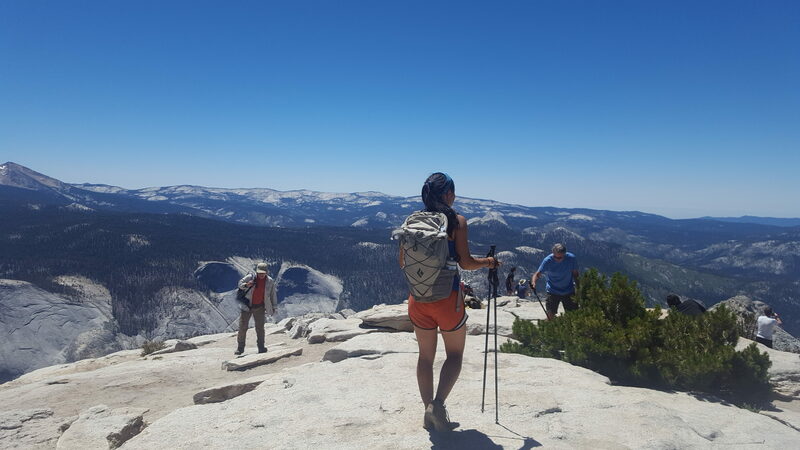 We decided to do this at Tuolumne Meadows because of ease of access and less humans, therefore skipping the first twenty-some miles of the trail. The sun finally decides to start warming me slowly around 9 am. I had sat for most of the morning reading a book and moving my toes continually. The line has now extended with about 15 more bodies, though some are here for other permits, not just the JMT. A nice park ranger shows up and writes down an initial list of who is there for what trail. I’m the fourth party in line for the JMT with 13 people ahead of me but he tells me to stick it out, there’s still a chance. In another hour and a half another ranger comes by, the permit office now officially open. She talks to the first group, scolds them again for getting there the evening before and says, “That’s not okay.” (I guess they’d been kicked out at 7 pm and had then returned) but says they’ve got it – 4 permits down. The next group of three gets the go ahead too, 3 permits left. The group right in front of me is six people in their mid twenties. She tells them it’s impossible to all start from Tuolumne tomorrow with only 3 permits left. One guy in the group asks quickly, “can three of us take the permits and the other three wait?” “Yes” she says. My heart sinks. She starts to move on to tell me that I will have to try again tomorrow or figure out another route when one of the six asks if they could all start together somewhere else. They can – there are six spots open for starting from Mono pass instead. They take it. The Ranger walks up to me and asks me what I need: “Two people, the JMT, starting from here tomorrow,” I say quickly – “It’s your lucky day,” she responds. Thank God. Another 3 am wake up is not in my immediate future and all of our (well, pretty much my hiking partner’s) planning was not in vain. Nor was the 100 and some dollars we spent sending a resupply to Muir Trail Ranch or our flights to Reno and some new light weight gear. It’s an annoying system to navigate for sure, but it is there for a reason. 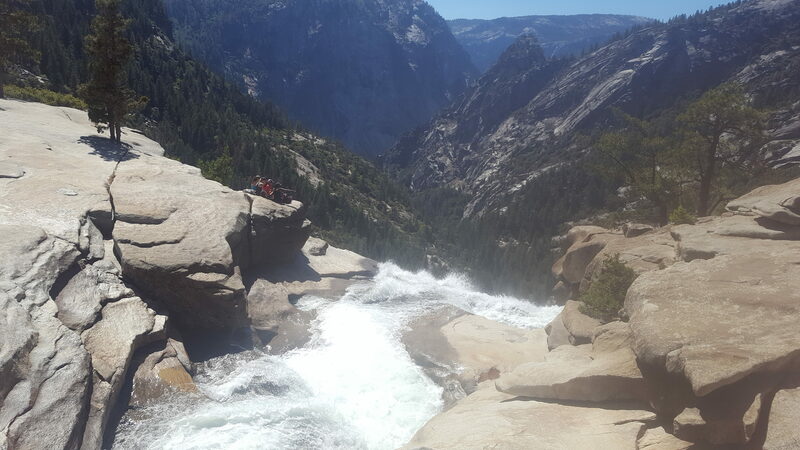 I’m not a huge fan of following rules, but with thousands and thousands of backpackers a year in Yosemite National Park alone, it makes sense. Knowing that, it isn’t worth it to complain but just hope for the best and take what you’re given. It wouldn’t have been too bad start at another trail head or wait another day or two. As an example, the father/daughter duo behind me in line wasn’t so lucky, but they were able to go for a three day trip north on the trail instead of south like they’d planned. From what I’ve heard and seen, pretty much all of the JMT is beautiful and totally worth it. I listen to the ranger go over the back-country rules, sign my permit and immediately retreat back to my friend’s cabin and take a nap. So much grogginess. But we did it, we’ve got the permit. Now we get to look forward to sprawling meadows of wildflowers, crystal clear cold lakes and 190 miles of dusty trail for the next three weeks. This is gonna be good. Don’t let the confusing process of attaining a permit dissuade you from getting out on the JMT. So far, it’s been an incredibly beautiful trail. Be flexible and enjoy every bit you get! Dude, when I landed a permit for doing the JMT this September, I felt like I had just won the lottery. You gotta apply six months in advance, to the date! But it’s going to be epic. 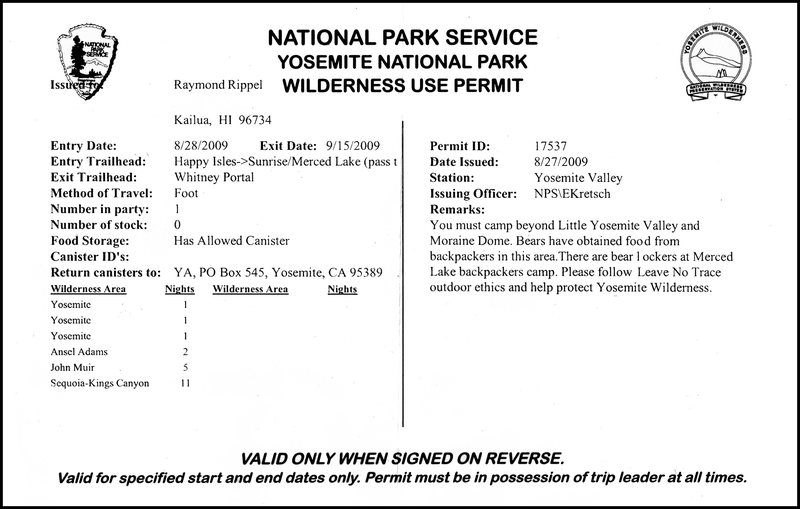 Once you were on the JMT did a ranger ever check your permit or if you had a bear canister?